Iizuna, Nagano, Japan. 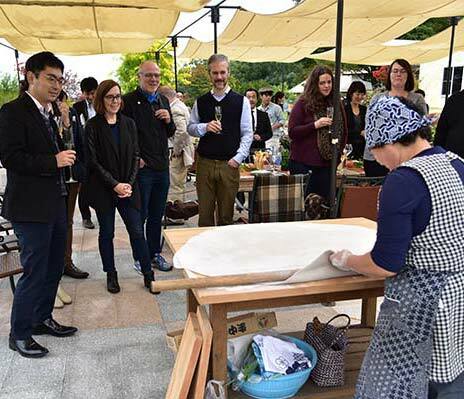 St. Cousair Co., Ltd. (headquarters: Iizuna-machi, Nagano Prefecture), a food manufacturing retailer (Food SPA) with more than 120 specialty stores throughout Japan, including St. Cousair brand stores and Kuze Fuku & Co., welcomed Oregon Governor Kate Brown and 11 State Government officials to a special luncheon at the company's flagship store location in the town of Iizuna, Nagano Prefecture. 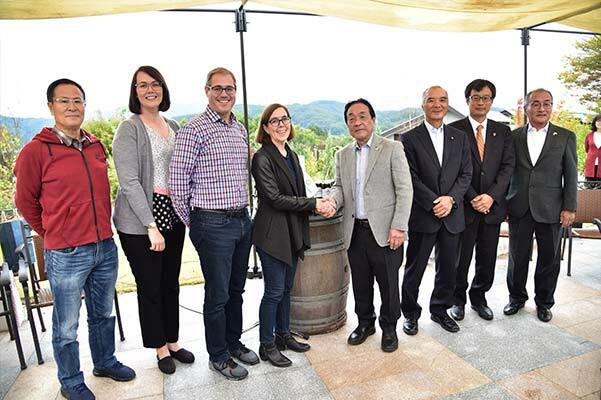 In attendence were Iizuna Mayor Minemura, Town Council Chairman Terashima and President Furuki of the Town of Iizuna's Tourism Association, and the visiting Oregonians praised the beauty of the countryside and the deepening of the cultural exchange accomplished during the visit. 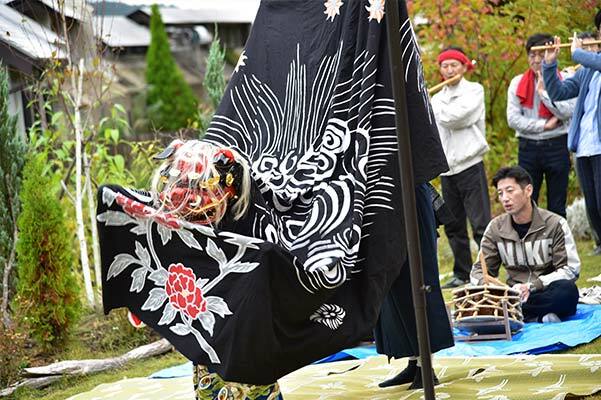 The visitors from Oregon were entertained by a local Lion Dance troupe, enjoyed freshly-made soba noodles and other displays of local culture. 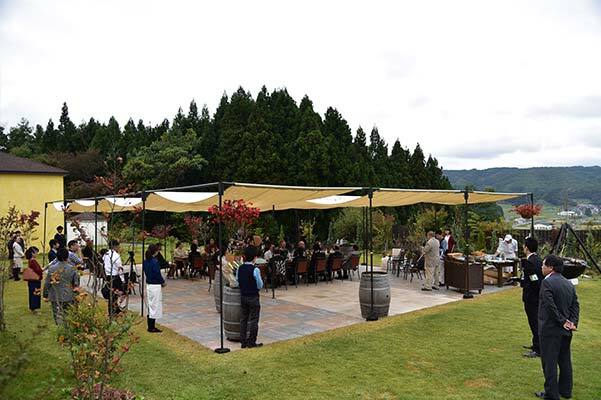 After the luncheon, they were given a tour of St. Cousair's vineyards, and in front of a colorful autumn view, toasted the event with a glass of St. Cousair Chardonnay. The Governor and other officials' visit was prompted by the Grand Opening Reception Party held in August at St. Cousair in Newberg. Governor Brown was in attendance and expressed her support for St. Cousair's corporate philosophy and business investment in Oregon. 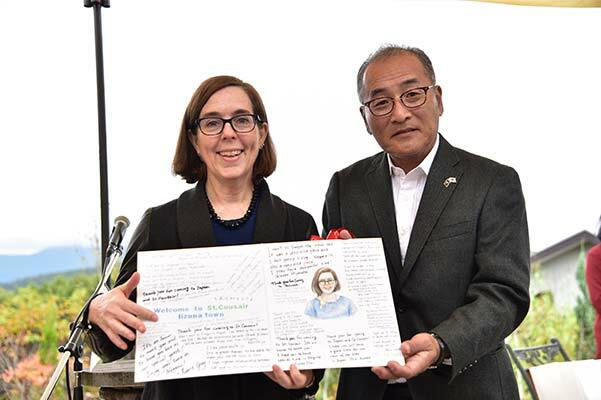 The Governor spoke of her hope that such activities benefitting Oregon would contribute to the State's friendship with St. Cousair and that these activities would continue well into the future. Read the story of how St. Cousair became a company. Learn about what we do, including details on our facilities, brands, products and people. Read about the charitable institutions we support. Get more information about St. Cousair Oregon Orchards.